Ask any homeowner with a basement about their biggest fear, and aside from a natural disaster, you’re likely to get plenty of people citing water damage and flooding. Basements are prone to this kind of problem for a couple reasons. The most obvious is that so much of a home’s plumbing and water flow systems run in and out of the basement. Their position below ground level also means they can be humid, and the way the surrounding land holds and handles water can play a role as well. Lastly, since basements, particularly ones that aren’t finished, are places we don’t spend large portions of our time, a minor issue can more easily become a major one, since these spaces go unchecked for longer in many cases. Luckily, there are ways to avoid these issues; otherwise we wouldn’t have basements in the first place! The first is to make sure you have a quality, functional sump pump, and ideally, a backup power source for it, should it go out during weather or an outage. There are other, more set-it and forget-it type strategies you can implement as well. One of the best, both for helping to prevent water damage, as well as offering energy conservation, is wrapping your pipework with insulation. While it helps treated water stay at temperature, in the winter, it can reduce the chances of freezing, bursting, and leaking pipes. Non-absorptive materials like closed-cell foam can help insulate while avoiding rot and mold issues from condensation or humidity. Lastly, if you don’t go down into your basement on a daily basis, checking on it more frequently can save you an incredible amount of stress and money if you’re able to spot an issue while it’s still small, rather than going to get your Christmas lights and stepping into two feet of water. Article submitted by The Foam Factory, an online retailer of thermal insulation materials, including a range of closed-cell foam that call be rolled, wrapped, and fitted around pipework. You wake up each morning with back aches and stiff joints. There’s a chance your daily discomfort may be caused by work-related stress or agitation, but, the culprit could also be the last thing many people consider: your mattress. Thanks to memory foam bed toppers, you can save the money you would have spent replacing your whole mattress, and instead, add a more affordable product that alleviates pressure, increases comfort, and gives a second lease on life to your old, hard mattress. With the American Chiropractic Association stating 31 million Americans experience lower-back pain, considering your mattress as the potential source of discomfort may help you remove yourself from that long list of individuals. Memory foam uses its unique temperature-sensitivity characteristic to distribute weight in a way that’s unique to every sleeper, unlike a traditional bed where you may feel pressure against your shoulders, hips, and back. Memory foam softens at the highest-pressure areas, while supporting lower-pressure areas to reduce discomfort and help maintain proper posture and circulation. In addition to toppers, individuals can buy a King Size memory foam mattress, or even a California King, for the most spacious comfort. Men and women with back problems often notice improvements after just the first or second night spent atop memory foam. The material warms from body heat and then softens, contouring to your body, giving you even pressure-relief along your spine and lumbar region. Each time you lay on a topper, you’ll notice the foam contour and yield to your body’s position for fantastic support and comfort. For those with lower back pain, the change from traditional materials to the more reactive memory foam can help ease tension and reduce tossing and turning through better circulation. Couples tend to complain that one individual moves more than the other, with the constant movement disturbing their partner. Memory foam, however, allows individuals to make a trip to the bathroom, grab a glass of water, or re-situate without bothering the person next to them. 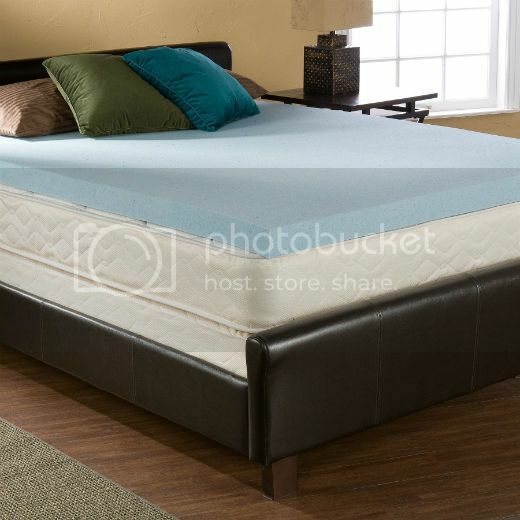 Products like a Queen Size memory foam mattress isolate movement instead of transferring energy throughout the bedding. Eventually, all mattresses lose their durability. Adding a memory foam topper helps extend the life of your bedding by taking the brunt of abuse, as the surface layer. As long as a mattress is structurally sound and supportive, a topper can give you the comfort you want. Sometimes people’s comfort preferences change over time. Adding a topper to a mattress you’re no longer in love with can prevent you from breaking the bank on a new bed, while still getting an update in comfort. If you find yourself experiencing back pain or joint discomfort, foam toppers may be able to offer some relief in a way you hadn’t originally considered. In addition to the physical benefits, they can extend the life of your bedding, and are available in sizes and densities to fit any preference. Bio: Foam Factory, Inc. specializes in custom-cut foam used for mattress toppers or pillows. Order your memory foam sheets today from Foam Factory, Inc.
Cushions can give any old piece of furniture a much-needed bump in quality. A good cushion can provide comfortable seating, add a beautiful splash of color in any space and help create support for your lower back when you are sitting down for a prolonged period. The couch is the centerpiece of the living room, and a good cushion can make it stand out. Before you purchase a whole new couch, try revamping your old furniture with new cushions. Sometimes cushions wear out, they may become stained or the stuffing may fall out. In any case, you may find yourself in need of new cushions for the space. New cushions come store bought in many varieties, but you can buy filling too. Foam cushions can give your sofa a new look, or help revitalize sagging cushions. You can also upholster a foam cushion to change the colors of your furniture, or add a pattern to the living room. Typically, cushions come in cotton, polyesters, velvet and satins. Vintage pieces can be refitted with a custom cushion that will bring back the old look, and create some added support for your back. Throw pillows can also perk up any piece of furniture in your home, with a little support for the lumbar. You can order sofa foam cut to your specifications online, then stitch together your own covers to create a piece that is one-of-a-kind. If you lack the sewing skills, you can commission a seamstress to finish the job and pocket the savings. Start with a fabric you like and then use a standard foam cushion to create a specific cushion for use in the home. A set of camper cushions can be useful for people on the go, even if you don’t own a camper. They can provide support inside the vehicle, or add some extra padding to outdoor chairs. Remember that a camper sees extraordinary use compared to the home, with much more time spent in the elements. It is not uncommon for people to come into the room with dirt on their feet and clothing. As a result, it is imperative to make sure that any cushions that you buy or make are created from durable fabrics that can hold up to very heavy usage and weather conditions. If possible, such cushions should be able to retain their shape and color even when it is raining. Look for fabrics that won’t fade in the hot sun or show water stains readily after a day at the lake. New cushions are one of the best ways to create an updated look in your home. For a small fee or a quick investment of time and some fabric, you can often make any room feel nearly brand new. The Foam Factory makes new cushions for the home and outdoors. Order custom cushions online at The Foam Factory. People have been going to spas for many years. They can relax and seek various beauty treatments in this way. You can find spas anywhere you go in the world. They are now even more commercialized than they were years before. People are more stressed from their jobs and not only are the wealthy seeking an effective method of relaxation. Some spa treatments include tanning, bathing wraps & scrubs, rituals, waxing, massages for body, back etc; there are also those hands, eyes and toes. Silk Balance is one of the various products used in spas. It is a fresh water treatment. If you are looking for a clear water experience without the use of test strips and many chemicals then Silk balance is the product you need. It is great to keep this in stock if you own a spa; your clients will notice the nice scent Silk balance leaves your spa water. You don’t have to worry about the calcium, pH or alkalinity in the water; all of this is handled in the water care formula. Another benefit is that you won’t have to replace your hot spring spa parts as often as this product helps keep your hot spring spa parts cleaner and your hot tubs will not be affected by mold either. A visit to www.become.com would be a great idea if you were thinking of purchasing a multi-functional chair sleeper for a favorite family member this Christmas. These are great for kids and if you were not thinking about this, well maybe you should. Children love to curl up on them for a sleep or to watch television. By visiting this websites Home and Garden section, you will be delighted to find a fabulous array of the “most wanted” space saving chair sleeper. Easily stored by folding up after being used for sleeping, they come in every colour, fabric, texture, shape and size. Be sure to select the most suitable for your needs, from the variety offered here. You will also find the most extravagant and luxurious of all comforter sets, the purple queen comforter sets . These beautifully made comforter sets are a delight to the eye and will be pleasing to any unsuspecting recipient. Consider this as a special gift for a special person, perhaps yourself! This 7piece Purple queen comforter sets size Floral Embroidered Comforter is one of kind. The fine embroidery sets it apart from others. I ordered a tufted leather sofa made for long lasting durability and support. This tufted leather sofa makes the perfect seasonal gift for my home. These solid hardwood frames, crafted with sophisticated bonded leather make contemporary living just a little more stylish. When it comes to huge comfort and cushioning, these pieces more than satisfy. Purchasing flowers should be a special thing to do for your loved ones. Perhaps a friend did something special and you want to show them your appreciation. There are so many reasons for flowers and if you are like me, love surprising your friends and yes your husband, with some beautiful flowers. Finding the right florist for online flowers is important and I know the problems I have had in the past. I did not know when my flowers arrived and that upset me greatly. They also were not as fresh as I would have liked. I spent some time online looking to send flowers to my mother-in-law when I came across Serenataflowers, a wonderful website that specializes in, you guessed it… flowers. A flower of every kind and every price imaginable and the site is full of color, dragging your gaze in so many different directions. They have flowers for every occasion in every style and if you need flowers tomorrow, call them. The roses they offer are beautiful and so fresh and if you are not happy about what you ordered, they offer a 100% satisfaction guarantee. Either you get a replacement or a refund, the choice is yours. What I enjoyed was the terms of delivery. You can have your gift there by the next day, even specifying what time of the day you want them to arrive. I wanted to surprise my niece on her graduation day and had a beautiful bouquet sent that I thought was perfect for the occasion. The arrangement was “Ocean Whisper” and the flower arrangement was exquisite, with Gerbera daisies, daisy mums, veronica blooms, purple lisianthus, blue thistle, delphinium, and purple statis. I received a phone call from her thanking me for the flowers I sent to her. She was so happy and everyone commented on the colors and freshness of the flowers. Do yourself a favor the next time you look for an online florist. Try Seranataflowers, you will not be sorry.